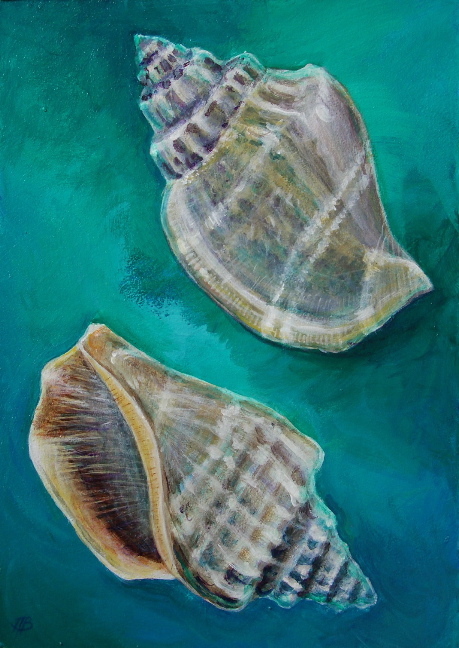 Introducing Strombus Canarium Labiatus Labiatus, or may I call it Canary Lip Conch? The actual shell is a diminutive specimen from the East Indian Ocean, about an inch and a quarter long, finely marked and was well worth a long look with a magnifying glass. 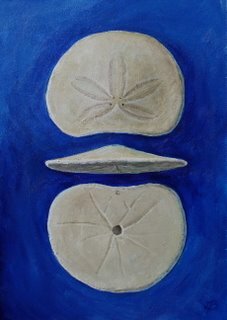 Though it was long ago, I'll never forget how sweet it was to stroll along the beach collecting delicate sand dollars. 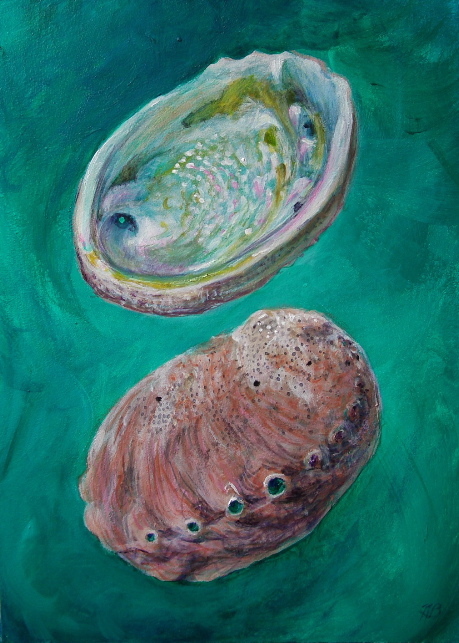 From the coastal waters off California, the Abalone. 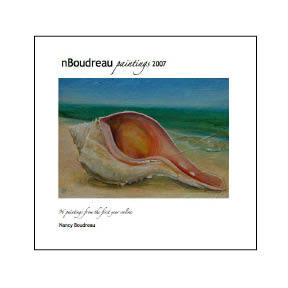 A delight to gourmets and shell collectors. From the muddy mangrove swamps and bays of Florida, Melongena corona, Kings Crown or Crown Conch. 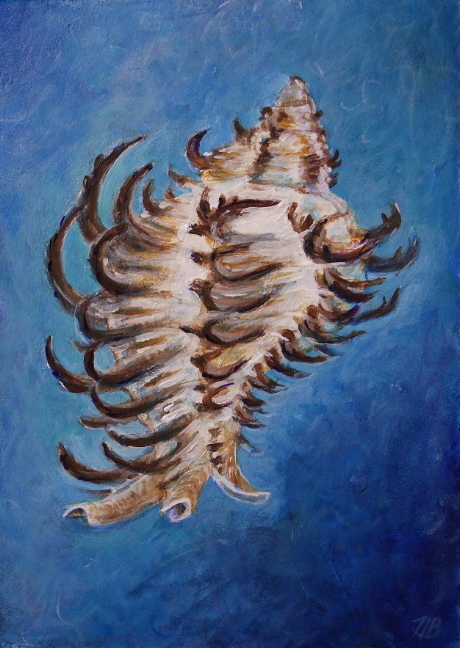 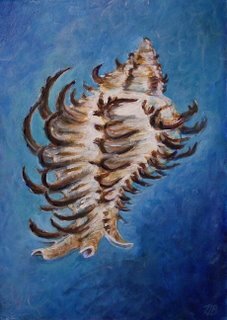 After a long online search, I've come to believe that the subject of this painting is a very fine Turban shell, an Angaria delphinus atrata, probably from the Philippines, collected in the early 1960's. 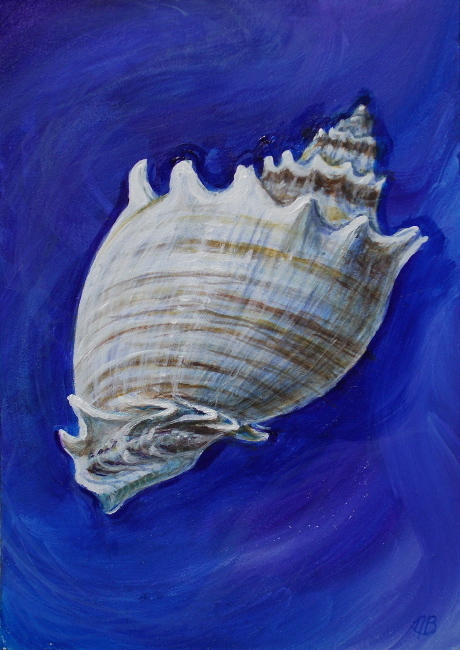 It has a lively pattern of black ridges over a pink and white base. In the few places where to pink top layer is chipped, the pearly throat of the shell gleams through. 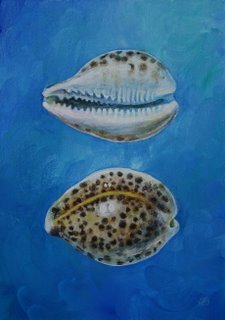 The mouth of the shell is a perfect round, smoothly coated with irridescent pearl, a perfect fit or my left index finger. 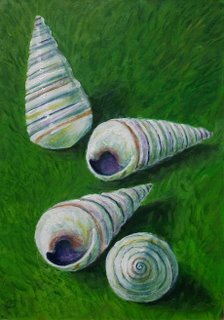 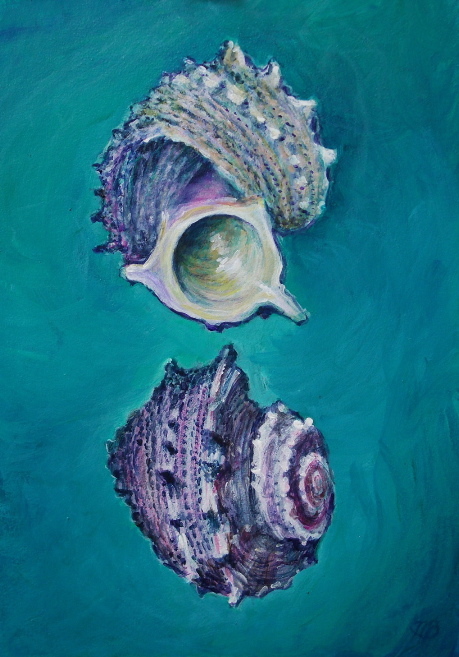 Fairy-tale snails from the Once-Upon-A-Time most beautiful Caribbean island, Hispaniola.